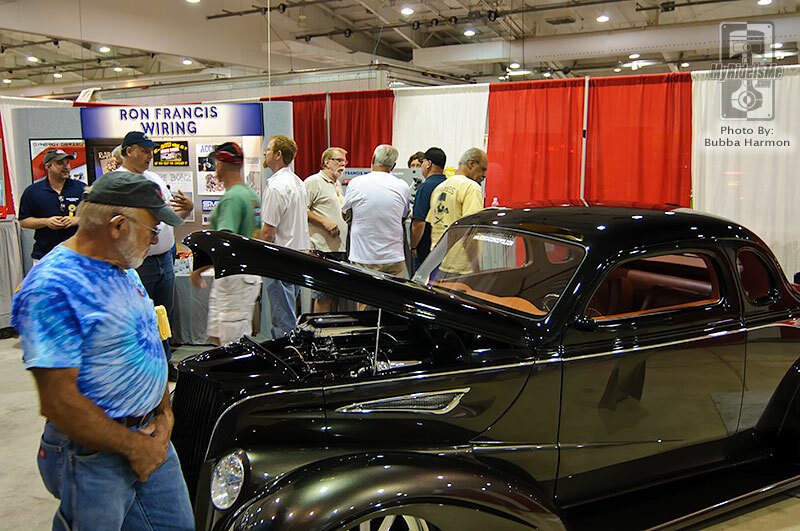 More than 3500 hot rods and customs registered for the 38th Street Rod Nationals East. You must be doing something right to be able to say this is the 38th time you have hosted an event and the 2011 event wasn’t any different. The city of York, PA has been lucky enough to be the location of this massive gathering for 31 of those 38 years. 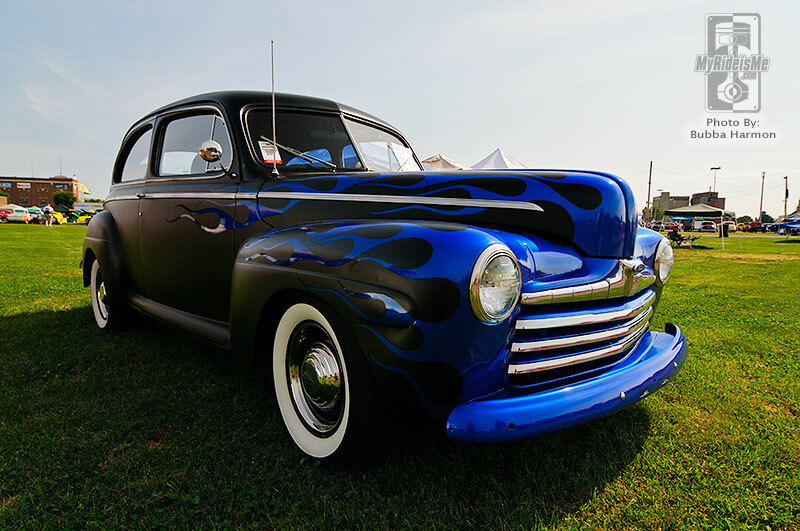 It has only been a few years since the National Street Rod Association (NSRA) relaxed the age restriction for vehicles entering the show grounds. 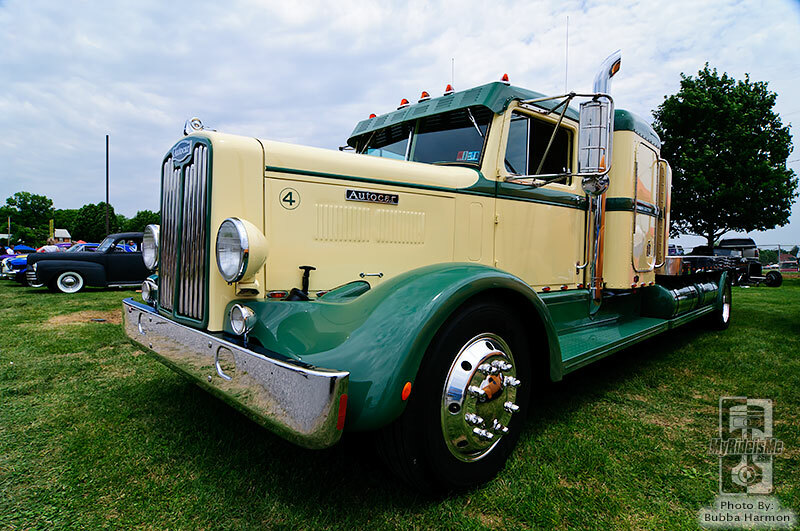 Now, you can find more vehicles than just street rods, as long as they are 20 years old or older, driving around the event fields. Some of the best rides the East Coast has to offer attend this show annually. Right when we walked through the spectators’ gate I was greeted with one of my favorite paint schemes. There is just something about gloss flames on a flat black finish that appeals to me. Paul Kain’s 1948 Ford was done exactly the way I like it. Would you believe this hot rod is all fiberglass? 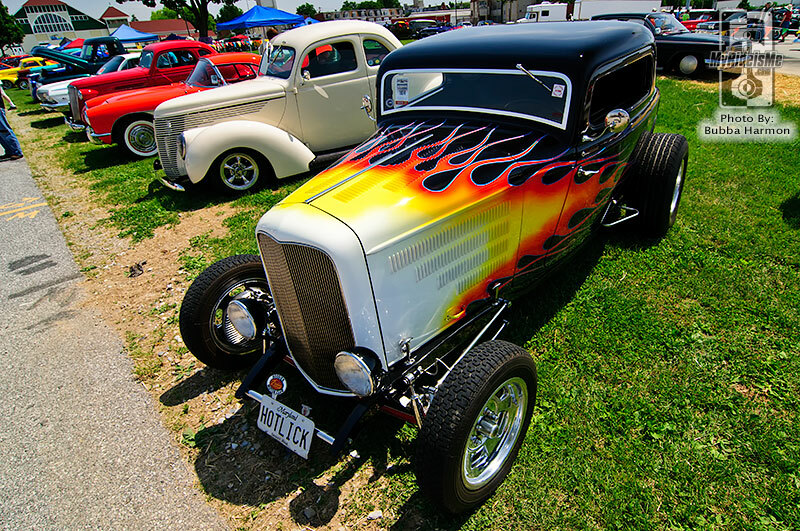 Vernon Akers spent almost two years in the bodyshop getting his 1934 Ford just right and the effort really shows. 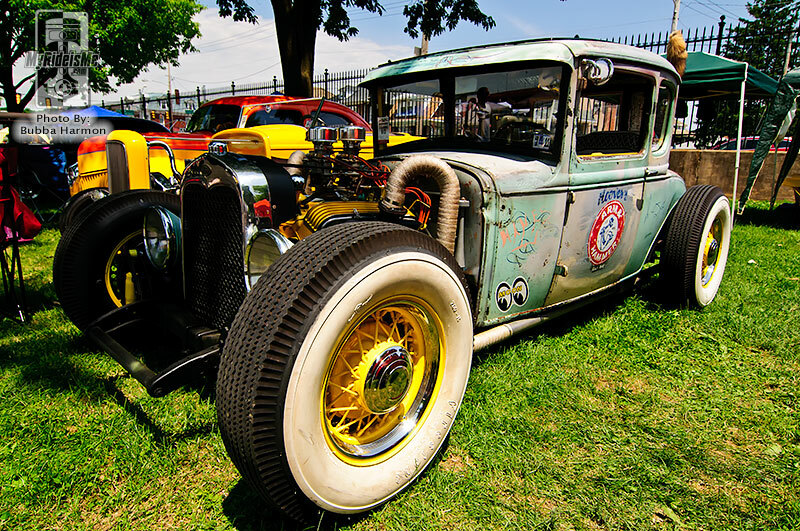 While there aren’t many rat rods that attend this show there are still enough to put a smile on your face if that’s your thing. Do you build model cars? The guys over at Central PA Model Car Club sure do. 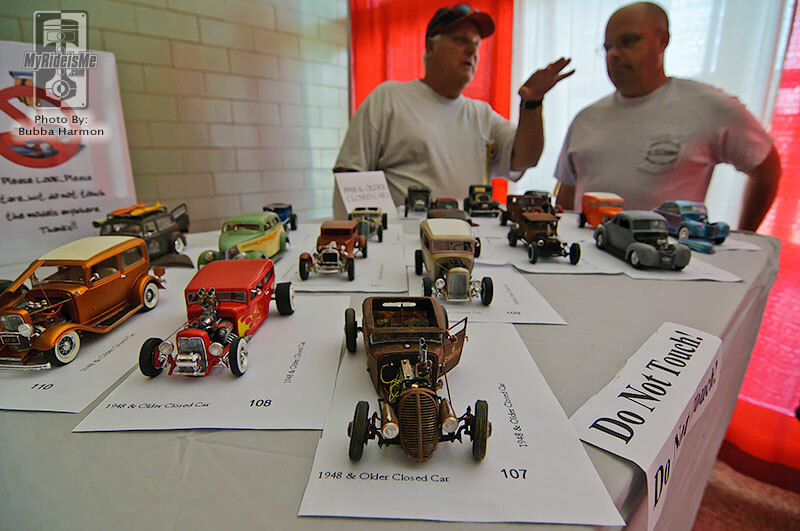 They had all sorts of realistically detailed miniature hot rods to gawk at over in their display area. 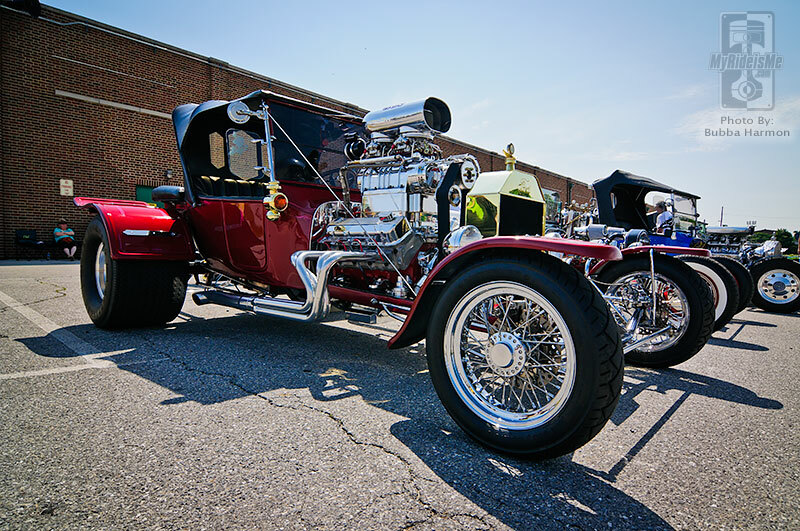 I don’t know about you but I get a big grin on my face when a see a ride that has a motor with the air intake scoop at the same height as the roof like Eugene Bowles’ 1929 Ford T-Bucket! Sure they are a pain in the rump to drive but they look so cool; almost cartoonish. What do you think? From T-buckets we move on to T-birds. 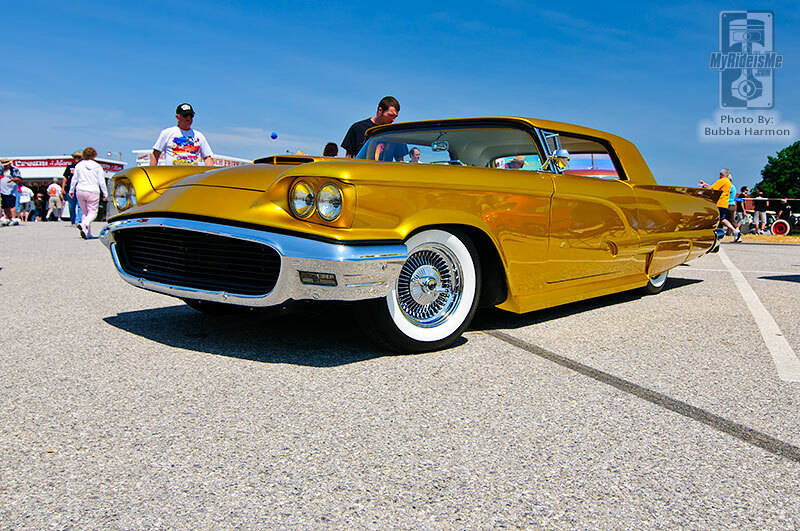 Don Russo’s 59 T-bird custom was just one of many fabulous customs that were scattered around the York Expo center over the weekend. If you ever have to tow your car at least do it in style. Carl Zimmerman’s 1948 Autocar would be the perfect rig to ferry your hot rod! 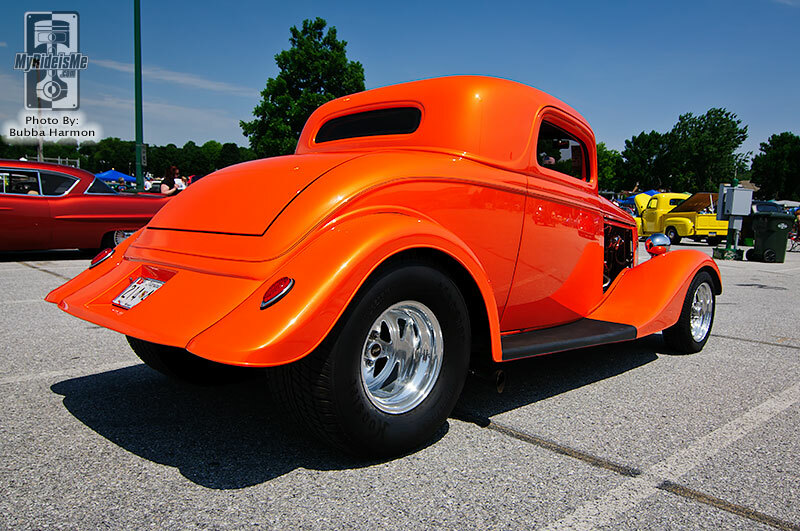 The Street Rod Nationals East was a perfect weekend event. Well, except for the brief 15 minute shower on Saturday. These major shows have a little bit of everything to keep you entertained. If you enjoy this type of event you need to make an effort to get out and support the promoters. While 3500+ vehicles is still a very large show it wasn’t that long ago that you could count on 5000 cars at this event and that was when it was restricted to street rods only. Many great shows have closed their doors because of lack of support from the rodding community and we can only blame ourselves. Get out there and drive! Crist Car Show Sunday August 14, 2011 11-5 p.m. Family Fun Day. Crist Field Complex 420 Emig Rd. 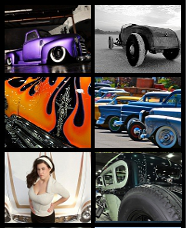 York, PA Pre Register at moc.liamgnull@llabtfoSSHNP Best Mopar, Chevy, Ford Truck, Import, Hot Rod & Peoples Choice. 1-Trophy “Best of Show” & 1-Trophy “Longest Drive”. Food by P.Y.C. Grill Moonbounce, Games, Dunk Tank, Prize Wheels, 50/50 Drawing, Auction. Food, Fun, Prizes for all. Entertainment: DJ Papa Craig Special Guest Mopar Underground. All vehicle types welcome. Free Registration, Donations Welcome. Benefits Pleasurville Youth Club.